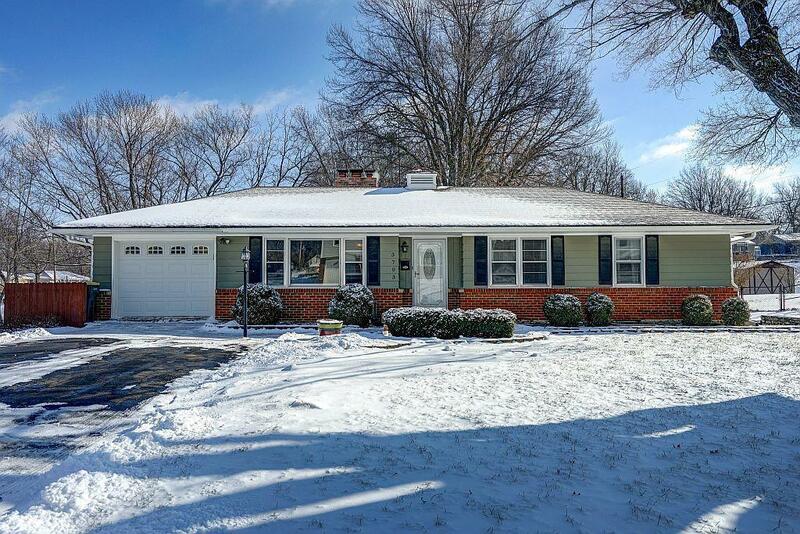 Exquisite Ranch on almost 1/2 an acre (.48, to be exact) w/ lots of updating! Great view of large, private landscaped lot & huge deck make it an entertaining paradise! Kitchen & bathrooms have been updated, large room sizes, built-ins & so much more make this an amazing find - including master w/ it's en-suite bathroom & finished walkout basement with full bath leading to a patio give you more room to entertain & spread out! Newer carpet, light fixtures & more make this a move-in ready home to enjoy for many years! Directions: I-70 W to US-40 W/E US Hwy 40 in Independence. Take exit 11 from I-70 W. Slight right onto US-40 W/E US Hwy 40. Turn right onto S Sterling Ave. Turn right onto Blue Ridge Blvd. Turn left onto S Claremont Ave. Home is on Right.